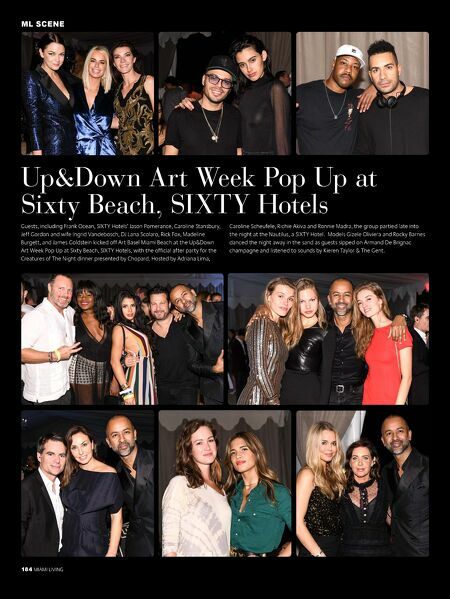 Up&Down Art Week Pop Up at Sixty Beach, SIXTY Hotels Guests, including Frank Ocean, SIXTY Hotels' Jason Pomerance, Caroline Stansbury, Jeff Gordon and wife Ingrid Vandebosch, DJ Lana Scolaro, Rick Fox, Madeline Burgett, and James Goldstein kicked off Art Basel Miami Beach at the Up&Down Art Week Pop Up at Sixty Beach, SIXTY Hotels, with the official after party for the Creatures of The Night dinner presented by Chopard. 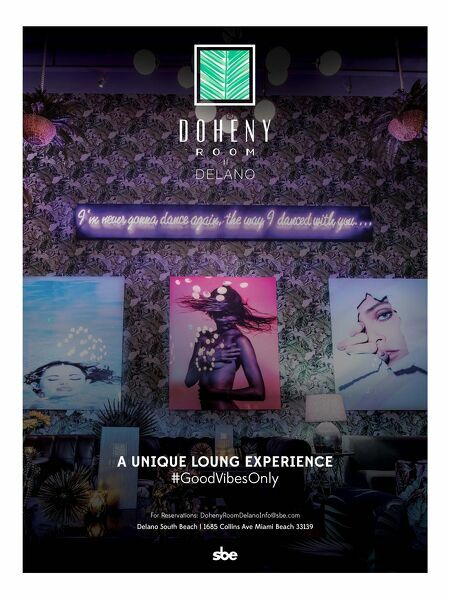 Hosted by Adriana Lima, Caroline Scheufele, Richie Akiva and Ronnie Madra, the group partied late into the night at the Nautilus, a SIXTY Hotel. Models Gizele Oliviera and Rocky Barnes danced the night away in the sand as guests sipped on Armand De Brignac champagne and listened to sounds by Kieren Taylor & The Gent.